With Apple’s annual Worldwide Developers Conference (WWDC) 2018 kicking off in less than a week, analysts are beginning to pour out their predictions and expectations of Apple during its once-a-year software and hardware development expo. Coming to us this morning with his own historically accurate and always appreciated insights is the former Piper Jaffray analyst turned Loup Ventures founder, Gene Munster, who boldly predicted in a recent research note what he believes is in store for this year’s WWDC. While he stopped short of weighing in on the prospect of new hardware debuting at the event, Munster predicted some big changes coming Siri, as well as advancements to Apple’s augmented reality (AR) platform, ARKit, its artificial intelligence (AI) platform, Core ML, and more. First and foremost, Munster believes that Siri is poised to gain support for new domain integrations at WWDC 2018, enabling Apple’s voice-driven personal assistant to respond to a wider range of more abstract commands. For example, unlike Google and Amazon, Apple’s current AI data set for Siri doesn’t incorporate support for basic e-commerce tools. However Apple could change that at WWDC by introducing changes to its core privacy technologies. Additionally, Munster predicts that Apple’s HomePod Siri speaker will gain some much needed AI advancements of its own, bringing it in line with competing platforms like Google’s Assistant and Amazon’s Alexa. Back in February, Munster’s analysis revealed that despite its high price-point, Apple’s HomePod integration is still at “the bottom of the totem pole” in comparison to competing voice assistant platforms from Google and Amazon. Apple can change this too, however, and likely will by adding support for new Siri domains that were previously unavailable on HomePod. Munster believes that Apple has the potential to further penetrate the smart speaker market by introducing a smaller, more compact and price-conscious smart speaker branded under the company’s Beats name. “We believe Apple can advance its digital assistant ambitions with a $250 Beats-branded option that does not compromise HomePod’s $349 price point,” Munster said, while ironically adding that his firm expects HomePod to maintain a “low-to-mid teens digital assistant market share” regardless of Beats integration. Citing that the current slate of AR uses “lagged our expectations,” Munster and his firm predicts that Apple will introduce a bevy of new tools to advance ARKit at this year’s WWDC. Munster noted that while Apple may be working on some advanced new AR hardware products, those are highly-unlikely to see the light of day for a few years. Still, Apple is expected to make some sizable improvements to its ARKit platform, allowing developers access to more tools to create more robust applications built on the technology. Noting that Apple introduced its proprietary machine learning platform, Core ML, at WWDC 2017, Munster predicts that the company will further expand on its core artificial intelligence platform at this year’s event. As Apple seeks to expand its range of AI capabilities, Core ML is expected to gain support for new domains at WWDC 2018, though Munster stopped short of elaborating on what they might be. Currently, developers using Apple’s Core ML platform have access to a wide range of tools allowing them to experiment with and incorporate features like facial detection, real-time image recognition, machine translation, text prediction and much more into their apps. Last but not least, Munster predicts that Apple will introduce new features that give users more insight into their privacy and data usage on devices like iPhone and iPad — for example, a feature that may issue notifications when third-party apps try accessing data on your device. 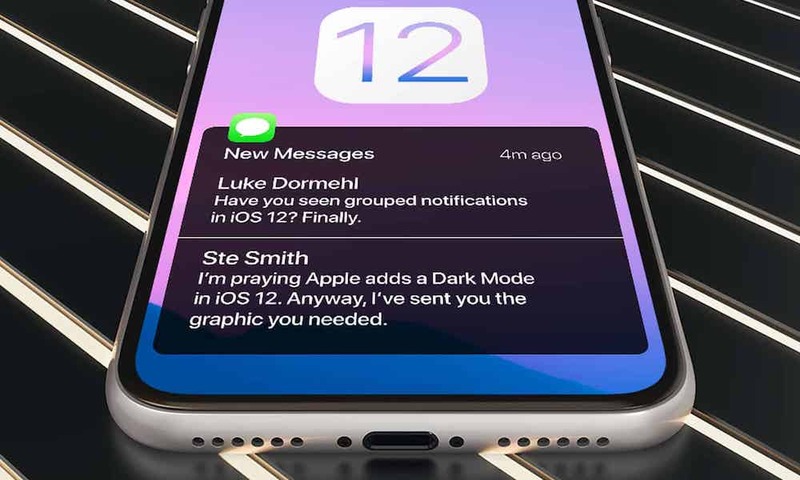 Be sure to check out iDrop News exclusive predictions and what we’d hope to see in some of Apple’s upcoming software titles set to be unveiled at WWDC next week.